Who were Libby German and Abby Williams? Abigail “Abby” Williams and Liberty “Libby” German had a bond stronger than most. A rare mid-February Monday off from school prompted the pair to do what any teenage friends would do the day before: They had a sleepover. 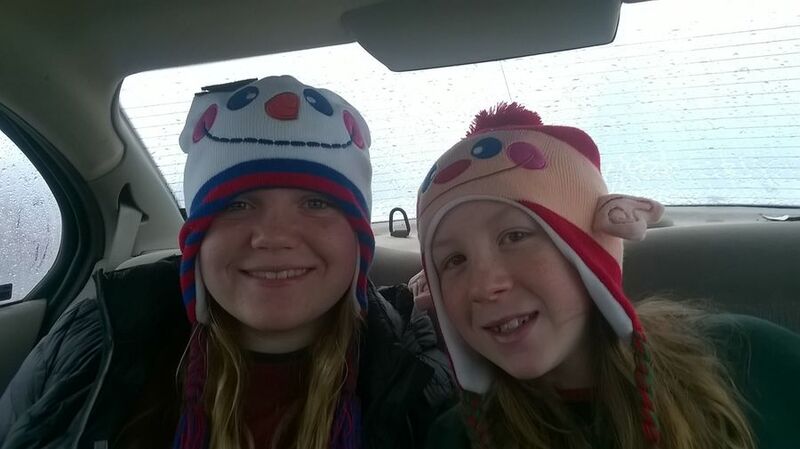 The girls shared a variety of interests; both loved art, both enjoyed sports and both played alto sax in the Delphi Community Middle School band. Abby brought her big box of arts and crafts over to Libby’s house and sprawled them across the floor of Libby’s room on that Sunday night. The girls painted photos of nature on canvases as they giggled and shared intimate secrets like most young girls do. Earlier that day, the two had been in the back yard practicing their softball swing in excited anticipation of the upcoming season. Libby, 14, had convinced Abby, 13, to join her on the team this year. The next day was an unseasonably warm day and the girls went out to enjoy another one of their shared hobbies by taking photos of one of their favorite places: The Monon High Bridge, Delphi’s tallest scenic attraction. This was a bond that not even a killer could break. Abigail is a name that means father’s joy. Abby’s mom, Anna, can still picture every moment her daughter made her smile – from her artistic creations to saving a stray cat that she convinced them to keep despite mom’s allergies. “There weren’t many people she wasn’t the joy of,” Anna said. "She smiled all the time." Abby loved making things for other people. She’d make rubber band bracelets, paintings and bead crafts for friends. There wasn’t a form of art that Abby hadn’t tried her hand at. “She had more crafts than you’d know what to do with,” Anna said. "She loved to make things for other people, she loved to be around other people." Abby had recently been knitting tiny, colorful hats for newborns at the local hospital. Abby could often be found in the gym on the volleyball court, playing on the middle school team for the last three years. Her mother said she was really good, but her latest passion, softball, stemmed from her friendship with Libby. “She and Libby were dead set on taking over the world by softball,” said Anna. Abby had to convince her mother to let her join the team. When she agreed, they called Abby’s grandpa Cliff to tell him the news. "She smiled all the time"
Grandpa Cliff was so excited; he drove down from Michigan to take her shopping for her new gear. They bought new balls and matching bats and gloves. “I said to my mother – ‘She’s 13 years old and she’s never played’ – She said, ‘there’s no reason why she shouldn’t be any good. It’s in her blood,’” said Anna. Also in her blood was a knack for photography, a passion her mother also shared. Abby would run off with her mom’s camera when they were at weddings or other events. She loved the outdoors and had an eye for the world around her, finding details most would miss. “I do have pictures when she was little and our friend had a beautiful garden and I let her take it. It occurred to me how much at a foot and a half shorter – how different she did see things,” said Anna. Abby’s last photo would feature her on the majestic Monon High Bridge, enjoying another of her and her best friend’s favorite things to do. Liberty German dreamed of becoming a science teacher. She was interested in solving crimes or finding clues and her curiosity in the sciences was serious business. She attended several classes at nearby Purdue University to try out different areas to see what interested her most. She was a mature student, but still a teenager. Liberty's grandparents said you could always tell when she was home from school. You’d find a backpack near the door, socks and shoes strewn about the floor, a pile of books on the counter, ready for homework, and a sidetracked Libby already working on something else. “Libby was a person who made it a point to make people feel good"
Often that something else was mixing up batch of cookies to share with her family. And she’d make sure there were a few left for her grandfather when he got home in the evening, too. For the Pattys, words that come to mind when they think of their 14-year-old granddaughter are uplifting, outgoing and kind. Libby loved to make people feel good – she would use sticky notes to leave messages of love and encouragement for others. It wasn’t until after her death that her grandparents learned about all of the little things she did. She painted an elemental table that made little blocks spelling out “Teacher” for her science professor. Her grandparents said she was always thinking of someone else. Mike also fondly remembers the many days they spent in the yard, honing Libby’s softball skills. Her favorite position was first base. “I’d pitch the balls and she was a good hitter. Very seldom would she strike out,” her grandfather said. That sport was just one of the many things that brought her and her best friend, Abby, closer together. Like Abby, she too had a passion for photography. Nature, the bridge, her friends and family – She loved to take photos of the world around her. And on February 13, she did just that, catching a killer in her lens. On Valentine’s Day, instead of passing out candy to their friends at school after a long weekend, the girls were found dead in a wooded area less than a mile from the bridge. The mystery surrounding what happened on that bridge remains, but photos and video taken from Libby’s cellphone have given investigators a glimpse into what may have happened in those final moments. Libby is heralded a hero for having the wherewithal to turn her camera on, like she did so many times before, and capture what was happening. Investigators have released two still images and a 3-second audio clip from that recording of the only person they have officially called a suspect in the crime: An unrecognizable man in a blue coat, with evil intentions for two teenage girls. And in their fear and confusion of the final moments of their young lives, their bond was stronger than ever. The murders of Libby and Abby have left a hole in the tight-knit community they grew up in. Photos of the girls along with posters of the suspect still plaster storefront windows across town, almost three months later. Fundraisers continue as the community bands together to help raise money to fund a sports complex that will be built in the girls’ memory. It’s something that both families look forward to in the wake of the tragedy. It’s a way to make sure Libby and Abby are never forgotten. “They’ll remember them. Their legacy will be there,” said Becky. Along with the sports complex, Anna said a park will also be dedicated in Abby’s memory. While a site for the park has not been selected, the love behind the project remains. It’s in these places that joy can live on and Abby and Libby’s families can see their daughters forever.